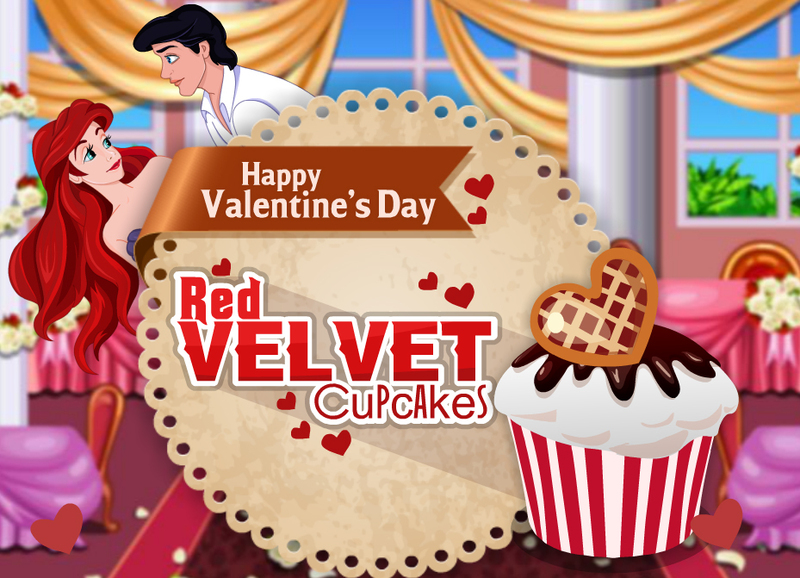 The little mermaid is getting ready to surprise her love for this Valentine's day with the lovely cupcakes. Help this little mermaid to surprise her loved ones. She has selected red velvet cupcakes as the Valentine's day recipe. However, she needs your help to prepare this dish. Can you help this historical romantic pair? Join her in the kitchen and help her in the preparation of this dish and add a wonderful taste to this Valentine's day.